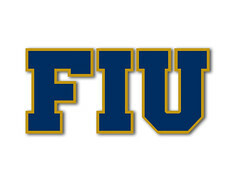 South Dade HS in Miami, has committed to FIU. The Rivals, 247 Sports, and ESPN (grade 75) 3-Stars Athlete chose FIU after de committing from Tulane, and prior to that he decommitted from Louisville. He becomes FIU's 17th known commitment in our list. He lists only Louisville and Tulane as his prior offers before choosing FIU. We got him! Tayland Humphrey, a 6-6/350 DT from Hutchinson JC in Kansas, has committed to FIU over offers from........everybody in FBS Football! The consensus high, very high, 247Sports, ESPN (grade 80), and Rivals 4-Stars player chooses to join his brother in Sauce, John Bolding in Miami. Big time, big time commitment for Butch Davis and his staff! He becomes FIU's 18th known commitment on our list. Reportedly, offers from Alabama, FSU, Arkansas, Oklahoma State, Auburn, LSU, Georgia, Louisville, Oklahoma, Ole Miss, Oregon, Tennessee, Texas A&M, West Virginia, South Carolina, Mississippi State, Missouri, Colorado, Kansas, Houston, Kansas State, UCF, Southern Miss, and many others. As some of us expected due to lack of info, offucial visits, or in home visit, Raymond Horton has “decommitted” from FIU, as per a tweet. I think there’s a big chance it was a beneficial move for both, Raymond and FIU. Wishing Raymond the best of luck wherever he ends up playing. Completely agree, you could see this coming. Best of luck to him!!! His name hasn't been updated in any recruiting website, plus he doesn't have any description stating he is committed to FIU anymore, so I will take his name off the list at this time. Well, we were wrong in the assessment, as David did end up, in fact, signing with FIU on Early signing day. Already added him to the (now called) Known Signings/Commitment List. Welcome (back) to FIU, David! Well, finally updated the (now called) Known Signing/Commitment List with the "surpise" signings and also taking out of the list, at least for the moment until National Signing Day in February, the names of Lawrence Papillon and Nathaniel Dell. They might still end up signing with FIU in February 7th, but haven't seen any update on them yet. We added, of course, the great JUCO surprises of 6'3/290 DL Teair Tart from East Mississippi JC and 6'5/320 OL D'Antne Demery, from Hutchinson CC. Both 4-Stars and huge, hopefully will suit and play for FIU and provide immediate help along those lines. Also, we signed 6'4/270 DL from Wakulla HS in Crawfordville, FL, Kameron Burns to provide even more future depth on the defensive line. Finally, we signed...and have to add to our list....QB Caley Lynum, a 6'2/195 QB from East Ridge HS in Leesburg, FL. Welcome all to the Panther Family! ESPN updated and graded some of our previously “un-rated” recruits. WR’s Jordan Underwood, Zahir Turner, and Dillard, as well as QB Caleb Lynum were all rated as 3-Stars by ESPN. Sometime later these ”grades” should be incorporated into the 247 Composite ratings, so I would expect an uptick there as well. ESPN still has like 10 of our current signees unrated at this point. The list in the first page at the top of this thread is updated now with this info. Thanks Fanatic, i've been checking ESPN, Rivals and 247 pretty much daily. BTW its unbelievable to me that 247, supposedly the best recruiting service still doesn't have our full signing class. At the very least ESPN and Rivals have all the guys. 2. Zahir Turner "78 Rating" (may end up being the steal of this class) will be a high 3* when its all said and done, i don't think he's been evaluated by 247 Sports yet but has a really high rating by both Rivals and 247, would not be surprised if he ends up being our 4-5th highest rated player behind Tayland, D'antne and Teair. 3. Maurquel Dillard "77 Rating" is rated a average 2* player by Rivals, but solid 3* by 247 and ESPN . He'll end up with a solid 3* 247 Composite Score (.82-.835 i would guess). 4. Caleb Lynum "76 Rating" is a high 2* player on both 247 and Rivals so this will put him right behind Maurquel in the low .82 composite rating. If and when 247 updates their ratings I'd expect us to pass Western Michigan and Texas Tech and slide into the #62 National Ranking. The big bump will come if and when they do add D'antne Demery to our class . I emailed 247 sports earlier today and they've added the rest but have not yet compiled their scores. What is strange is they have all 21 listed, but when you click on the conference standings it only shows 20 signed. It's probably just a glitch or miscount. Hopefully they add the ratings soon. Joshua Sanders was just evaluated and graded by ESPN as a 3-Stars player with a grade of 73. This grade will not affect substantially his current composite rating of .83+ by 247Sports. This grade has been added to our list at the top of this thread. We can officially take Papillon out of our commitments list. Yep. I had already taken him and Dell off the list at the beginning of the year. The recruiting websites would have to update their lists to reflect these changes. Off course, Horton had already publicly announced his “de-commitment” from FIU, this taken out of list as well. Let’s see who we finally get to ad to our current signees come Signing day.